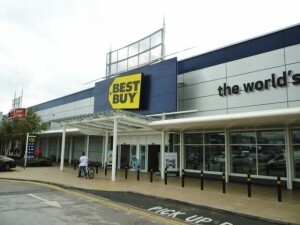 Carphone Warehouse has this morning confirmed that it will close its 11 big-box Best Buy stores across the UK, subject to employee representative consultation, putting 1,100 jobs at risk. 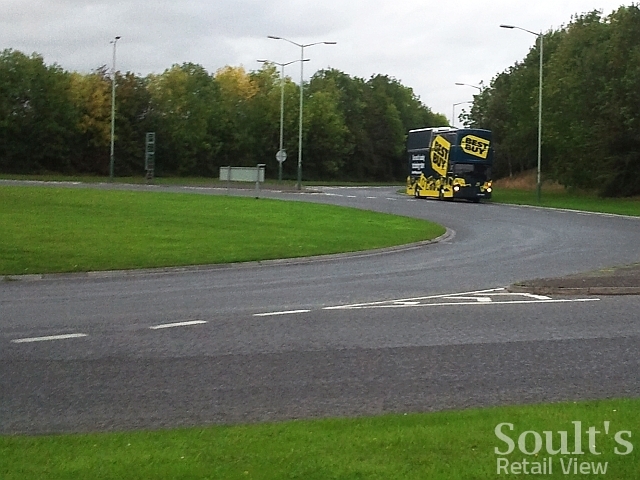 The first store, in Thurrock, only opened – to great fanfare – in April last year, followed by others in Bristol, Croydon, Derby, Enfield, Hayes, Liverpool, Nottingham, Rotherham, Southampton and Wolverhampton. However, the electronics and electricals chain – a joint venture between Carphone and the successful US retailer Best Buy – has racked up eye-watering losses in the subsequent eighteen months. Having made an operating loss of £62m in the year to 31 March 2011, the pace of those losses has worsened during 2011, with a further deficit of £47m reported in the six months to 30 September. Ambitions to build a 200-strong chain soon seemed wide of the mark, and the collapse, at the end of last year, of talks to open a store here in Gateshead (on the current Mothercare World site at Team Valley Retail World) suggested that any plans for growing beyond 11 sites had stalled. So, what went wrong? Arguably, things got off to a bad start with the dithering that followed the initial Best Buy UK announcement in May 2008. 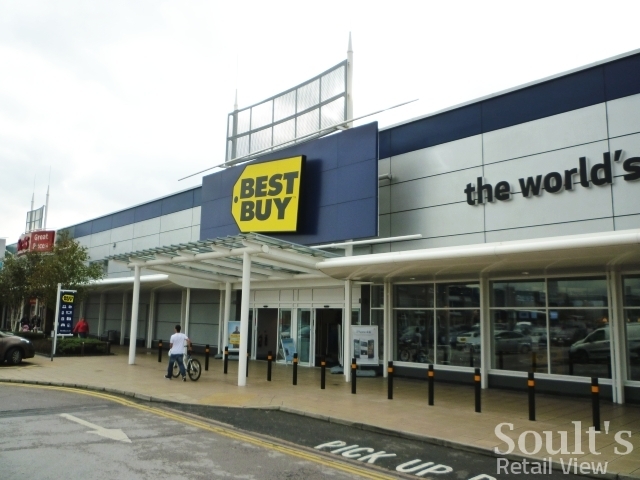 Though the first Best Buy stores were originally planned for 2009, the eventual two-year build-up to market entry, in April 2010, allowed the UK’s established electronics and electricals players – notably Currys and PC World, owned by Dixons Retail, and to a lesser extent Kesa-owned Comet – to steal a march on the newcomer with significant investment in their own stores and branding. 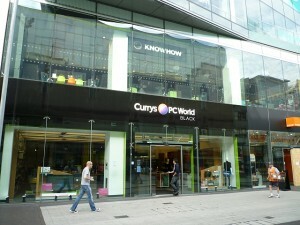 Though Comet has itself struggled of late, Dixons’ transformation of PC World and Currys has been generally more successful, revamping the tired look of its brands, opening dual-branded stores and larger-footprint Currys Megastores, and seeking to transform perceptions of the business through innovations such as the design-led Black store in Birmingham. 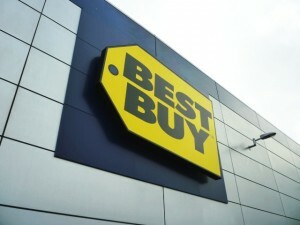 The pre-emptive responses of Best Buy’s competitors-to-be, coupled with other challenges within the electricals trading environment (growth of online retail, depressed consumer spending), meant that the market that Best Buy entered in 2010 was rather different to the one it had envisaged in 2008. Coincidentally, I visited my first Best Buy store, on Rotherham’s Parkgate Retail Park, last week, where the retailer has only been open since 10 June this year. At the time, I tweeted that “Best Buy in Rotherham is vast, beautiful, yet strangely sterile. Some customers, but seems quiet overall.” There’s no disputing that it was a good-looking store, but it was hard to work out why a customer might head there instead of to the more familiar – and recently opened – 52,000 sq ft Currys PC World megastore nearby. 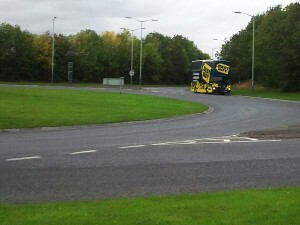 Best Buy’s UK fate is neatly encapsulated by the photo that Mark Leaver captured for me in September, where he spotted a Best Buy bus parked on a deserted roundabout near Malmesbury in Wiltshire, 30 miles from the nearest store at Bristol’s Cribbs Causeway. Ultimately, through its own missteps and the changing climate around it, Best Buy has struggled to define its place in the market, or to find where its customers were. Malmesbury’s double decker may have shouted about the store’s presence, but sadly there just weren’t enough people who wanted to go along for the ride. It should be knocked down and rebuilt. 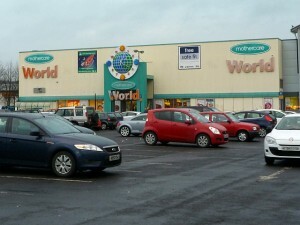 Mothercare World gateshead looks like it is in the 20th century !!!!!!!!!!!!!!!!!!!!!!!!!!!!!!!!! I saw it about 1 yr ago and it looked so old and tatty! Never realised how dilapidated the poor old Children’s World unit looks, really needs rebuilding or at the very least a lick of paint in-keeping with this century! Is the lease coming up or were/are Mothercare looking to pull out? Dixons unquestionably played this superbly; it’s been obvious for years that Currys and PC World should be brought closer together, not just in terms of the marketing/backroom savings but the maintenance of two autonomous brands retailing a near identical product range made no sense and only confused customers. I worry about Comet. Much like Argos, they’re no longer perceived to be competitive in their pricing and their big rebrand seemed hopelessly misguided in its juvenile nature. 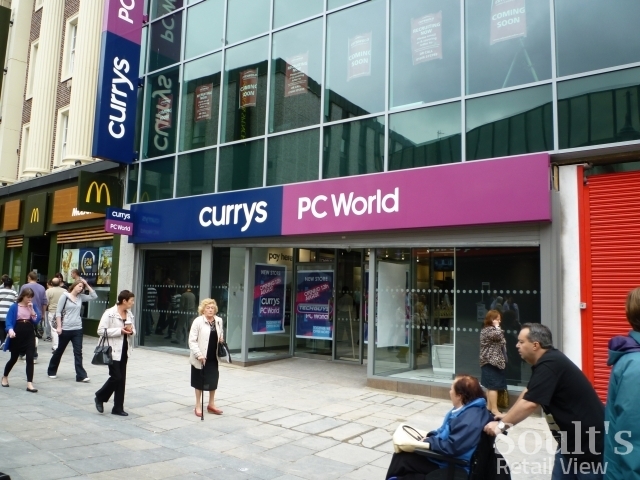 As Best Buy/Carphone discovered, I’m not sure there’s room in the market for an inferior Currys clone alongside the supermarkets, Amazon and the wider, cut-throat internet sphere.